My prayers and thoughts are with everyone affected by the hurricane. Like Job of old we cannot explain why terrible things happen to people. Throughout his own sufferings, Job did not abandon God because deep down he knew that God had not abandoned him. And so we all continue our journeys though life. Surveying the spectrum of hierarchical rhetoric, on both sides of the Atlantic, we hear and read that “secularization” and “secularism” are now the source of all that is evil, have led to a collapse of Christian values, and are the driving force behind a new wave of anti-Catholicism in the West. Pope Benedict XVI and his Facilitator for the Synod on the New Evangelization, Cardinal Donald Wuerl, strongly hope the New Evangelization will halt the spread of secularism and relativism in the church, re-fill nearly-empty churches with loyal and obedient laypeople, and disarm a number of other malignant “isms” (like feminism) that threaten contemporary Catholic life. At the moment, I am in Philadelphia where his friends and supporters are energetically promoting Archbishop Charles Chaput’s book A Heart on Fire: Catholic Witness and the Next America. In his e-book, Archbishop Chaput outlines the dangers of secularism in the United States and deplores what he sees as a growing American hostility toward religion in general and Roman Catholicism in particular. A couple days ago, over in Chicago, Cardinal George remarked that strong anti-religious sentiments have emerged during this year’s presidential campaign. 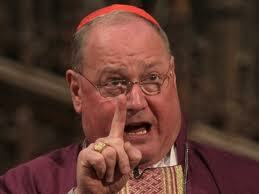 He warns of an aggressive anti-religious and strongly anti-Catholic secularism in our American society. 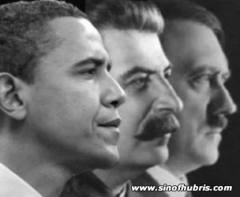 Over in Peoria, the outspokenly ultra-orthodox Bishop Daniel Jenky is still complaining about President Obama’s “extreme secularist” policies and compares them to those of Germany’s “Iron Chancellor” Otto von Bismarck, to Adolf Hitler and to Josef Stalin. My first and immediate reaction is to quickly respond that far too many ultra-orthodox bishops and their sympathizers are scapegoating and calling attention to the speck of sawdust in their neighbors’ eyes and paying no attention to the planks in their own. But it is of course more complex. These days “secularism” is more a principle and “secularization” more a process; but they often overlap of course in contemporary conversation. Secularism is often associated with the Age of Enlightenment and has played a major role in the history of Western society. Church leaders have, from time to time, had difficulties with the Enlightenment. Too much thinking, beyond church control……..We know of course, from our overall Catholic tradition, there really should be no conflict between faith and reason. The discussion about secularization is, I think much more complex. I often say in my adult education and adult faith sharing sessions that Jesus of Nazareth was THE great secularizer: He understood, taught and witnessed to the truth that God is met and experienced in secular life. Incarnational theology once again…… Jesus regularly poked fun at or simply denounced those overly religious people who were good at religious practices but in fact far from God. But this is just a part of the secularization discussion. Many of our contemporary Catholic bishops blame secularization for their lost credibility, the decline of their religious authority, and their inability to influence society. Frankly, I think their Vatican II episopal brothers would say: “stop shaking your fingers at the outside world and get your own house in order.” Blessed Pope John would say: Open the windows! We need fresh air! We need new and fresh thinking! And we have made some colossal mistakes! I can understand that some people are uncomfortable about secularization when it involves state control over spheres formerly controlled by religious institutions. This can affect education, social welfare, law, the media, etc. Loss of power and control can be very discomfiting….. Secularization, however, becomes absolutely essential in our contemporary world with its increasingly ethnic-cultural-religious pluralistic societies. And faith will be experienced, will thrive, and be passed on in communities where the teacher-leaders (the magisterium in Catholic talk) realize that they are also and always learners as well…….. The Second Vatican Council — in various jubilee commemorations – is now the official scapegoat for traditionalist Catholic frustrations. Our current traditionalist-in-chief, Pope Benedict XVI, is working overtime these days to re-write the history of Vatican II, to misinterpret its significance, and to undo its accomplishments. Hermeneutics is a process of interpretation. It is nothing new of course. People of every age, if their eyes and ears are open to the world around them, necessarily interpret and express their faith experience in the thought patterns of their own language and culture. Pope John XXIII, when he announced there would be an ecumenical council, said the church needed a lot of hermeneutics….in his words a lot of aggiornamento: updating! He said the church should not be afraid to open its windows to the world. Contrary to what we hear and read in Vatican Newspeak, Vatican II did change the church; and thanks to Vatican II the church did change its official teachings. Vatican II brought good news. A nineteenth century Catholic, for instance, would be amazed at the transformation of the papacy. Pope Pius IX, who denounced democracy and progress, would have been surprised at the thought of a Pope traveling around the world and upholding human rights and justice. Our self-understanding as church has changed from that of a clergy-controlled monolithic institution to the church as the People of God…….what a tremendous change. We have shifted from a vertical legalistic model — where bishops are managers — to a horizontal community of faith model, where we are all brothers and sisters. We are still working out an effective collegial way of doing things; but we know we must now do it together. What was once a triumphalist “fortress church” (fighting against “non-Catholics” and “unbelievers”) is now, thanks to Vatican II, a listening community. We acknowledge that we don’t have all the answers; and we must be engaged in dialogue with non-Christian religions as well as with other Christian churches. Within the Catholic Church, as well, there have been significant changes: We have a new code of canon law. New instruments of episcopal collegiality and subsidiarity have been put into place. 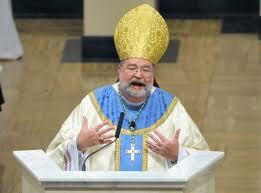 The church today is not a democracy BUT it is not an authoritarian monarchy either! It is a communion, which should be governed by mutual respect, charity, and openness to the world around us. The vernacular has been introduced into our Eucharistic liturgy and the other sacraments; and I know very few people who would wish to return to the old Latin liturgy. Vatican II stressed the dignity of the human person…….Human life (life in this world) is neither evil nor a threat to Christian belief. Vatican II stressed an incarnational theology: “And the Word was made flesh and dwelt among us…” Vatican II saw our daily human life as the place where we meet the living God. That’s why in our liturgy the presider now faces the congregation and not the back wall. Vatican II changed the image of the church from a medieval authoritarian monarchy to a community of brothers and sisters where “collegiality” should be the practice for governance and decision-making. We see the face of Christ in the eyes of our neighbors. A new and critical attitude towards the Bible was affirmed at Vatican II. This was a big step and a tremendous change in our Catholic biblical understanding. The Roman Catholic Church, at Vatican II, rejected a literalist understanding of biblical texts and stressed a historical critical understanding. The bishops at Vatican I (1870), for example, insisted that Moses was the author of the first five books of the Old Testament. The bishops at Vatican II understood that such a belief was totally impossible, if not absolutely foolish. The pre-Vatican II church saw the church and the world at variance with one another and, to some degree, as enemies. Vatican II said that we need to listen to the signs of the times, because it is in this world that we meet and live with God. Vatican II said as well that human sexuality is not tinged with sin but good. It changed the Catholic understanding of the “ends of marriage” and stressed and that the primary goal of married love is not just generating children but growth in mutual love, support, and joy. Sexual intimacy is grace-filled. Yes. 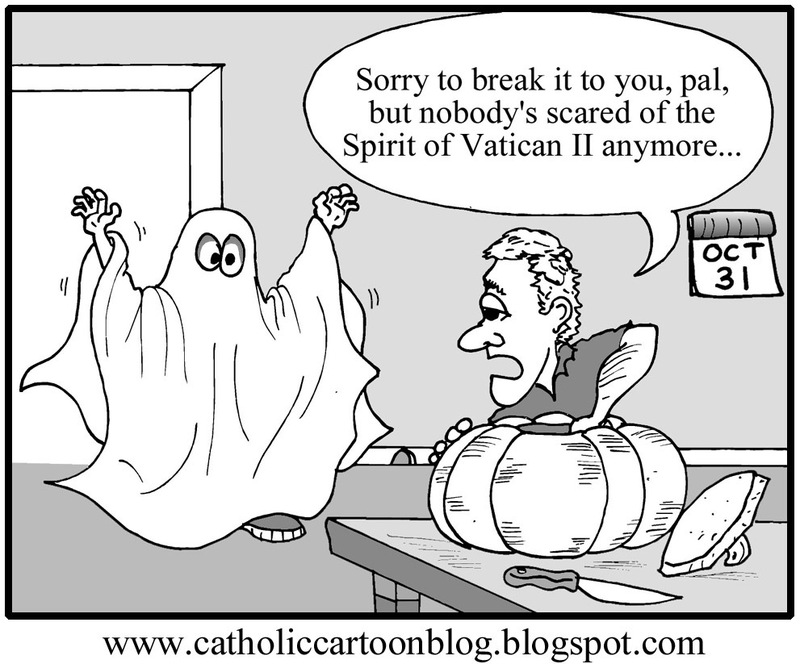 Vatican II brought good news….. In the church’s relationship with the not Catholic world, it changed Catholic teaching in very significant ways. I mention two big changes in official Catholic teaching: first in its affirmation of God’s ongoing covenant with the Jewish people (see Lumen Gentium and Nostra Aetate), and second, in its affirmation of religious freedom, which previous popes had explicitly condemned. These two reversals in church teaching (a hermeneutic of discontinuity?) contravened at least 1,500 years of church teaching and practice. Newspeak traditionalists insist that the bishops at Vatican II never really intended to change the church or its theology or its liturgy. It has all been one big terrible mistake. Vatican-inspired revisionists are working feverishly to reverse the Catholic clock. Many people now suspect the “New Evangelization” is a Vatican PR stunt to bring back a 19th century Catholic ethos and insist that the post Vatican II changes never should have happened. Certainly our American Cardinal from Washington DC sees it that way. “This current situation is rooted in the upheavals of the 1970s and 80s, decades in which there was manifest poor catechesis or miscatechesis at so many levels of education,” Cardinal Wuerl said a few days ago in Rome, and he further stressed: “We faced the hermeneutic of discontinuity that permeated so much of the milieu of centers of higher education and was also reflected in aberrational liturgical practice. Entire generations have become disassociated from the support systems that facilitated the transmission of faith.” More fundamentalist Catholic Newspeak. Nevertheless……Clocks break when you turn them back. And some things cannot be turned back. Vatican II stressed the place and roles of lay women and men. Whether some people like it or not……our Roman Catholic Church, more and more, is going to be directed by lay people, especially in parishes, schools, and pastoral ministry. Vatican II’s “universal call to holiness” has motivated lay women and men to take very seriously their baptismal call to ministry in the church and mission in the world. They are educated, competent, and have long since supplanted clergy as religious educators, theologians, chaplains, and other kinds of pastoral ministers. The old clerical stronghold on ministry and holiness has been irreparably ruptured. There’s no going back. And right now, there’s no telling where it will lead. But we believe we are not alone. We are not orphans; and God’s spirit is with us. More ministry of misinformation…….With all due respect to the LA archbishop, he is not just whistling in the Vatican wind. He is wrong. Archbishop Gomez, Cardinal Wuerl, and Pope Benedict are neither evil nor wicked men; but they are manipulating facts to support their own revisionist and regressive agenda. Indeed, society has changed; but the church has changed as well. It must change. Change is a fact of life. Only museum pieces are static. More and more, I fear, our grand old church looks more like a museum than a spiritual home for human habitation. We need to open those windows again……..
May you live long in our theology and church life! Pope John XXIII gave notice of his intention to convene the Second Vatican Council on 25 January 1959, less than three months after his election in October 1958. Members of the Curia Romana began to fear that John was up to no good! In discussions before the Council, Pope John often said that it was time to open the windows of the Church to let in some fresh air. He said the old church needed updating. Aggiornamento was the word he used. And John invited Christians outside of the Catholic Church to send observers to the Council. Pope John XXIII opened the Second Vatican Council on 11 October 1962 in a public session and read the declaration Gaudet Mater Ecclesia before the Council Fathers. In this opening address, he rejected the thoughts of “prophets of doom who are always forecasting disaster” in the world and in the future of the Church. The Pope stressed a pastoral, not a doctrinal, focus for the Council: The Church did not need to repeat or reformulate existing doctrines and dogmas; but rather it had to teach Christ’s message in the light of the modern world’s ever-changing trends. In other words, Pope John said the church need not fear the secular world, because it is in the secular world that we encounter the living God. John exhorted the Council Fathers “to use the medicine of mercy rather than the weapons of severity” in the documents they would produce. And today………..Fifty years after the Second Vatican Council revolutionized life inside our Roman Catholic Church, nearly three hundred bishops from around the world are gathered in Rome to remember the Council and to confront what they see as an external threat to the church and Christian Faith: secularization. The Synod of Bishops on the “New Evangelization” brings together 262 church leaders for a three-week summit at the Vatican, joined by lay experts and representatives of other Christian groups. Donald Wuerl has been appointed by Pope Benedict XVI to be the “Relator General” of the Synod, with the key task of summing up the main points of the bishops’ discussions. What I find so remarkable about Wuerl is his nearly total distortion of the message and impact of Vatican II. While Vatican II marked a moment of renewal and enthusiasm for the church, Wuerl said, it was followed by decades of poor teaching and substandard worship — “aberrational liturgical practice,” he called it — that made “entire generations” of Catholics incapable of transmitting the faith to their children and to society at large, ushering in today’s secularized society. Wuerl of course is wrong. He can speak of a “tsunami of secular influence;” but he is blind and deaf to the sounds and sights of the credibility earthquake that he and other contemporary church leaders have inflicted on the church. So, as we celebrate this special Vatican II anniversary year, let’s look at a few basic facts (not the whirlwind of Wuerl’s rhetoric)…….facts that enable us to evaluate the various interpretations, reinterpretations, misinterpretations, and misrepresentations that will be promulgated by regressive church authorities in the coming year. (1) Vatican II was an ecumenical council, the latest of only twenty-one in the two-millennia history of the Church. It was not a sinister group of subversives out to destroy the church. As such, it was and is to be respected as a specially authoritative voice of the church. (2) There are those of course, like Don Wuerl and sadly a number of other U.S. bishops, who try to make Vatican II something it wasn’t and who claim today that it has been grossly misinterpreted. Strangely, many of today’s negative “interpreters” are bishops who were there and voted on the documents that came out of the council. They oversaw the implementation of the council. (3) When the bishops arrived for the Council, they found that members of the Curia (the Vatican bureaucrats who had rattled crosiers when Pope John announced the Council) had already tried to take control of the conciliar process. Note well: the majority of the Council fathers took control. They strongly defeated attempts by conservative Roman cardinals to steer Council deliberations and decisions in a conservative direction. Pope Benedict has proclaimed a “Year of Faith” to remember Vatican II. So my friends, during this holy year, if you hear complaints about Vatican II and its stress on the church as the People of God, complaints about collegiality, warnings about a confident encounter with the “joys and hopes, the griefs and the anxieties” of people today, about respectful encounters with other religions, about public prayer marked by “full, conscious and active participation in liturgical celebrations,” about reminders that “the revision of liturgical books should allow for legitimate variations and adaptations to different groups, regions and peoples”……. Yes, if you hear such complaints or grumbling about these things, remember that you know the facts; and since you know the facts, give the complainers the attention they deserve. None whatsoever. The lights are going out in Vienna. 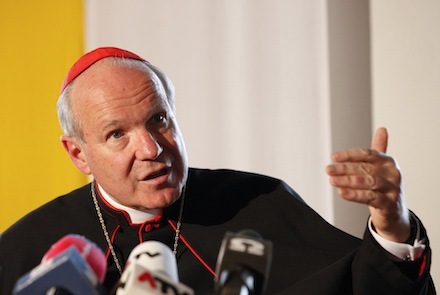 The Tablet reports (27 September) that The Archbishop of Vienna, Cardinal Christoph Schönborn has announced that the 660 parishes in the Archdiocese of Vienna are to be drastically reduced over the next 10 years to just 150. The Roman Catholic decline around the globe is accelerating and the old gentlemen in Rome seem to be taking it all in stride. Maybe they feel a smaller church is more easily controlled. Or maybe our church leaders are simply unable to acknowledge their own shortcomings. In any event, Catholics are jumping ship and Peter’s Bark is taking on water. In any event. I haven’t grabbed my lifejacket yet. Next week : a birthday party for Vatican II!